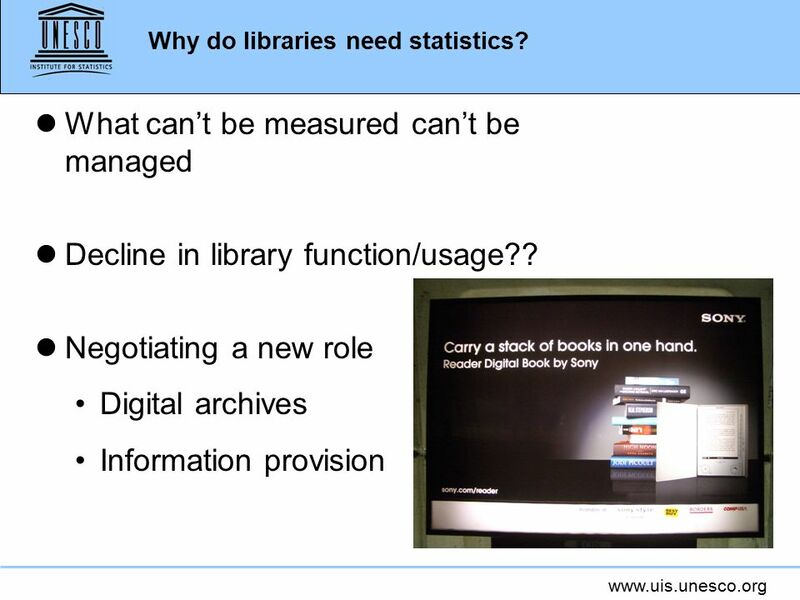 Www.uis.unesco.org Why library statistics? The statistician’s view Simon Ellis Head of Science Culture and Communications Statistics. 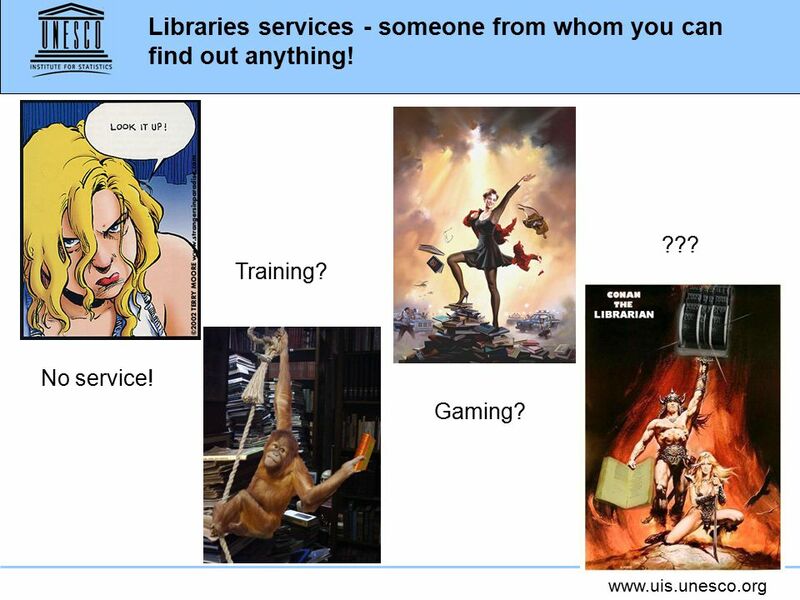 4 www.uis.unesco.org Libraries services - someone from whom you can find out anything! No service! Training? Gaming? ??? 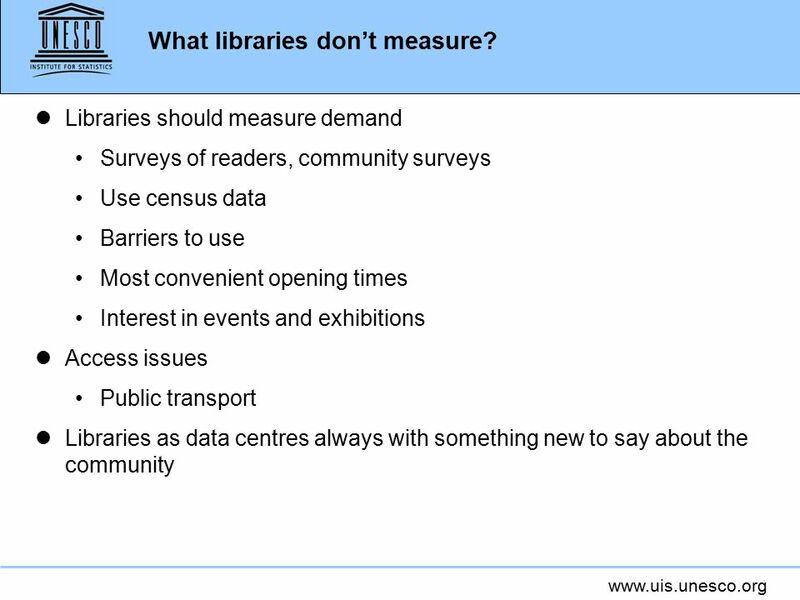 Download ppt "Www.uis.unesco.org Why library statistics? 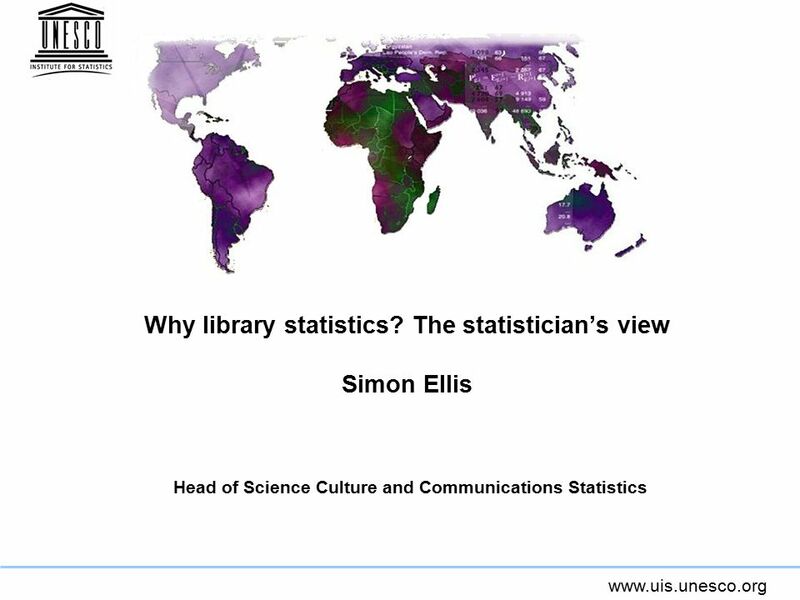 The statistician’s view Simon Ellis Head of Science Culture and Communications Statistics." Evidence based policy making STI policy and indicators Dr Shamila Nair-Bedouelle Chef of Unit, AU/CPA Implementation Division for Science Policies and. Science policy and the linkage to indicators National training workshop Amman, Jordan October 2010. 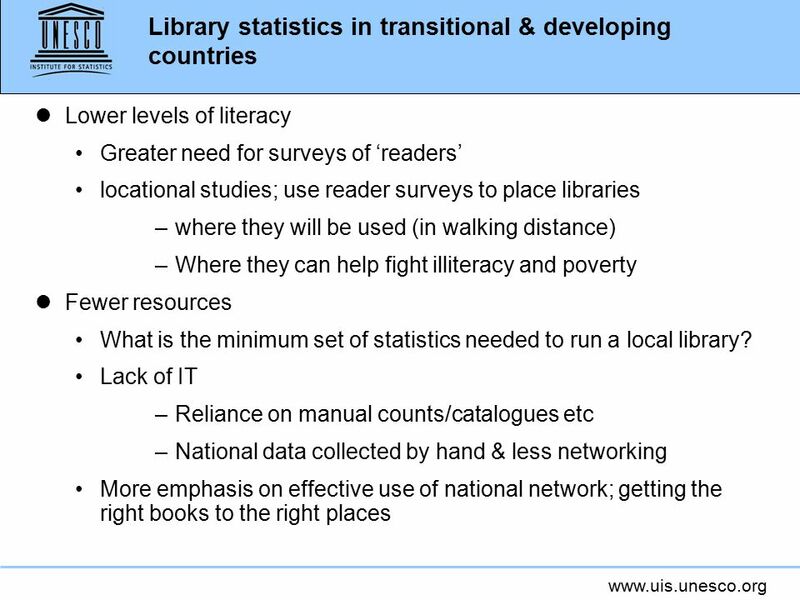 The link of STI indicators to STI policy South Asian Regional Workshop on Science, Technology and Innovation Statistics Kathmandu, Nepal. 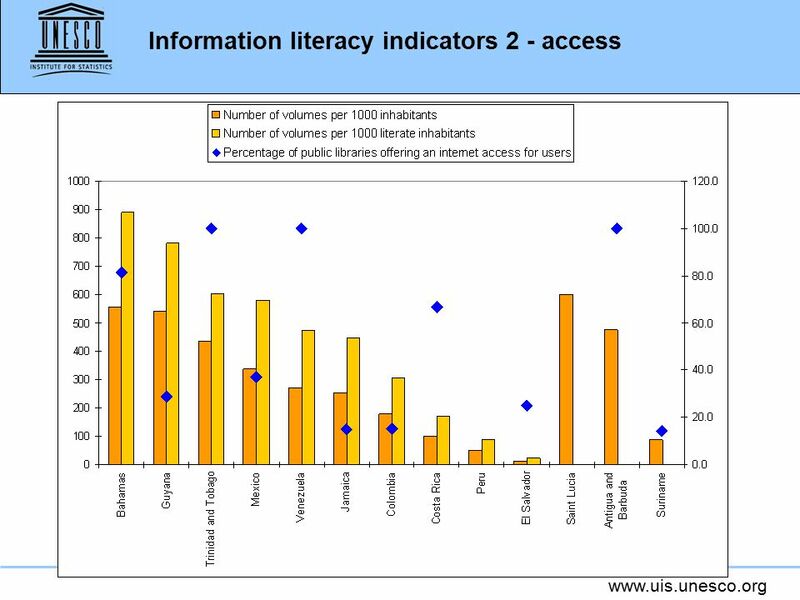 Developing an Information Literacy Programme. Welcome and Introductions Hosts Attendees Housekeeping. Meeting of the Working Group Statistics on the Information Society October 6-7, 2005, Luxembourg ITUs statistical work The path towards information society. WSIS Thematic Meeting Measuring the Information Society Telecommunication Development Bureau International Telecommunication. ITU Regional Workshop on ICTs for Womens Empowerment in the Arab Region Kuwait, 5-6 October 2011 The role of Information Communication Technologies in. 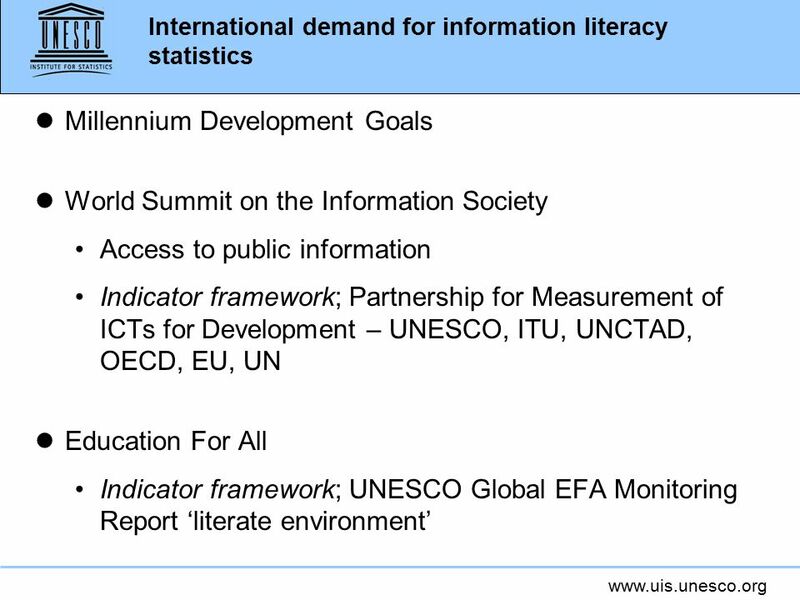 Committed to Connecting the World International Telecommunication Union May 2010 Doris Olaya Market Information and Statistics (STAT) Division Telecommunication. Student centred assessment and accreditation in adult literacies Lyn Tett, University of Edinburgh. 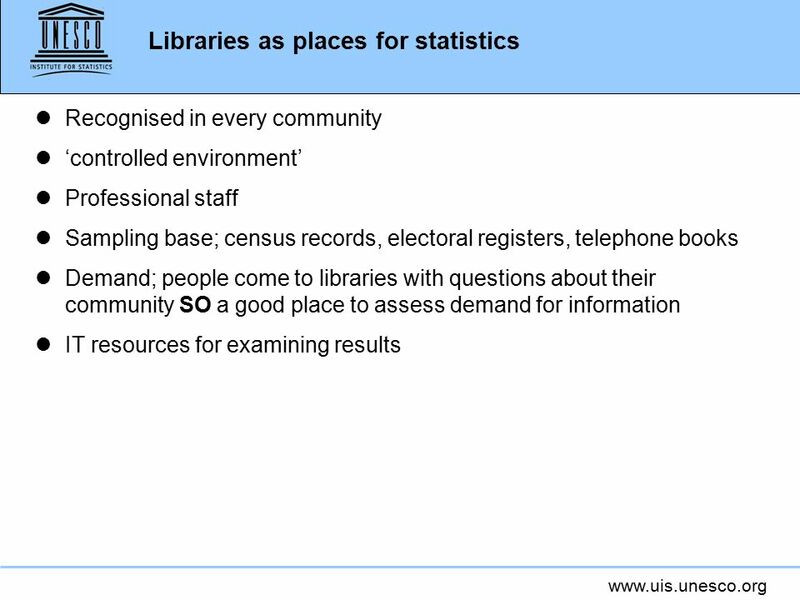 Library statistics and their relevance for education and culture Simon Ellis Head of Science Culture and Communications Statistics. International Telecommunication Union Committed to Connecting the World First Multi-stakeholder WSIS+10 Review Event February 2013 Measuring the. 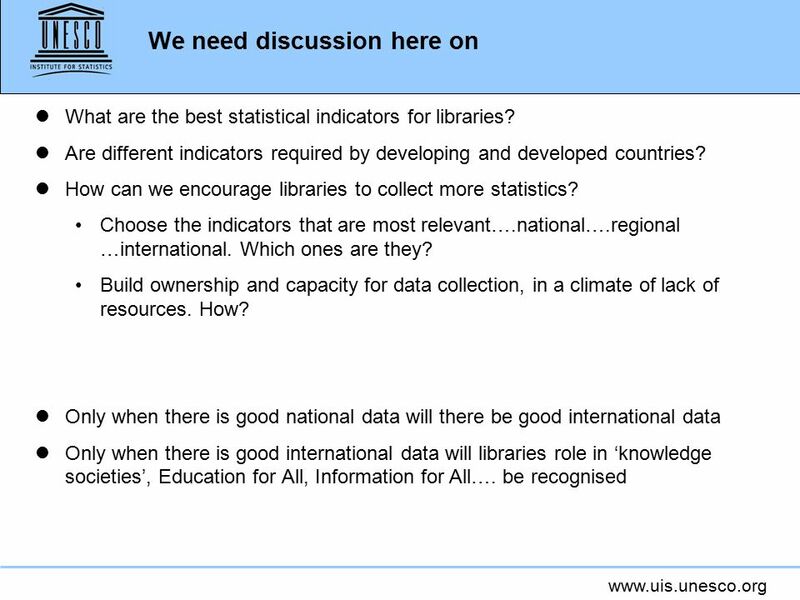 Scarlett Fondeur Gil, Division on Technology and Logistics, UNCTAD International coordination to measure the ICT sector: Producing statistics to inform. 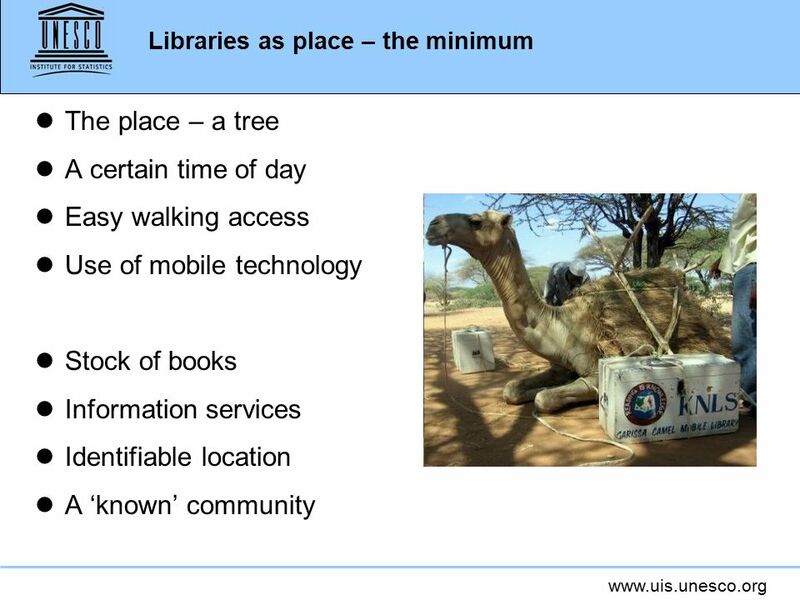 Summary of theme 1 CHALLENGES Uta Wehn de Montalvo 30 May 2013. The JMDI is funded by the European Commission The EC-UN Joint Migration and Development Initiative: Networking and Participation of Local Authorities Understanding. September 2009 Committed to Connecting the World 1 Information Session on Gender Issues 1 September 2009, ITU Headquarters, Geneva ITU work in the area. International Telecommunication Union Measuring ICT4D: ITU’s Focus on Household and Individual Market, Economics and Finance. 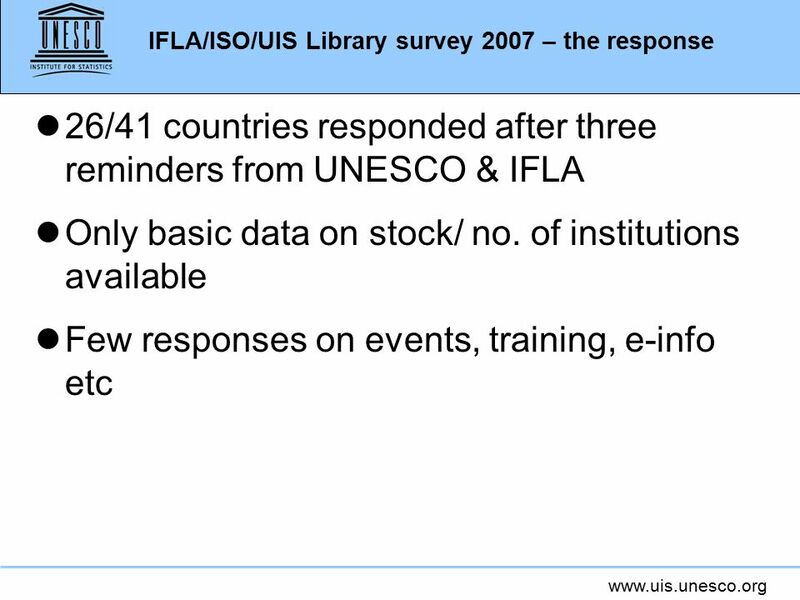 IFAP Special Event: Information and Knowledge for All, Emerging Trends and Challenges Information Preservation 4000 Years of Traditions Challenged by Digital.